Classical music: The early music group Ensemble SDG will perform psalms by Heinrich Schütz and other composers as well as sonatas and a canticle this Saturday night at Luther Memorial Church. 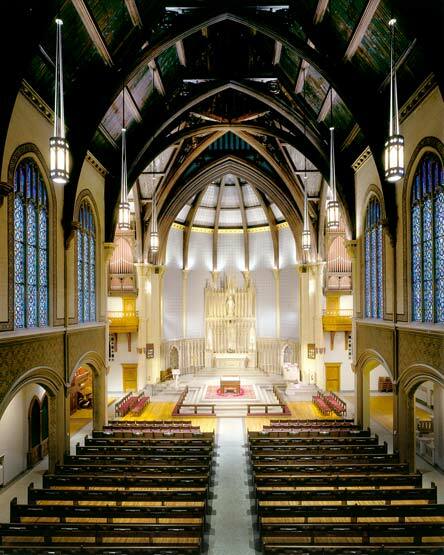 The Madison-based duo Ensemble SDG will perform a concert of early music on this Saturday night, November 22, 2014, at 7 p.m. in the Luther Memorial Church (below), 1021 University Avenue, in Madison, Wisconsin. The concert will feature special guests William Hudson, tenor, and Katherine Shuldiner, viola da gamba. 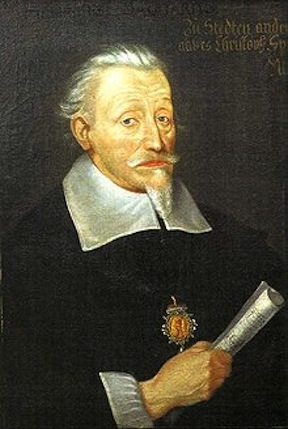 The program includes settings of Psalm texts by Heinrich Schütz (below with his psalms at bottom in a YouTube video), Johann Hermann Schein, and Jacques de Bournonville, with a setting by Johann Philipp Krieger of the anonymous canticle Laetare anima mea, as well as sonatas by Giovanni Battista Fontana, Dieterich Buxtehude and Elisabeth Jacquet de la Guerre. 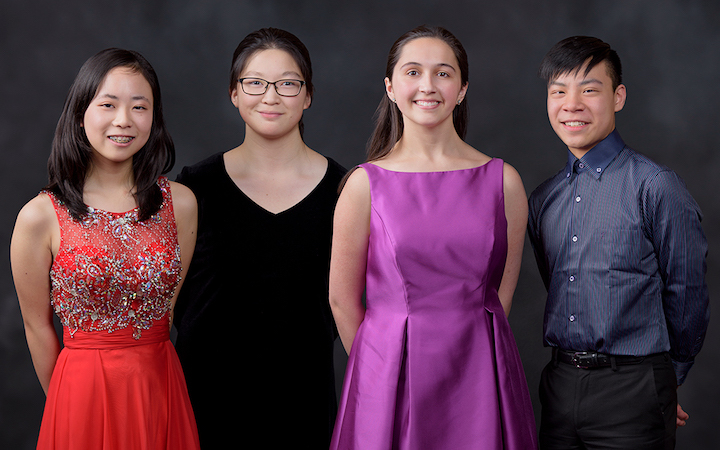 Ensemble SDG (below) features Madison musicians Edith Hines, baroque violin, and John Chappell Stowe, professor of harpsichord and organ at the University of Wisconsin-Madison School of Music. The duo has performed across the United States, and their recording of the complete works of J. S. Bach for violin and keyboard is soon to be released by Arabesque Records. 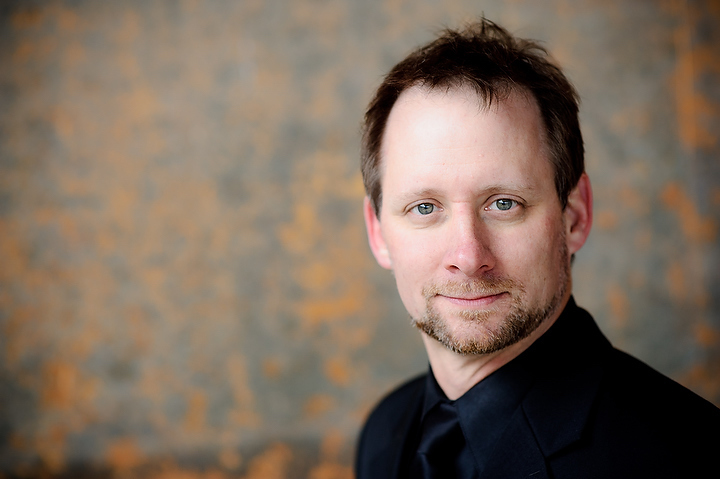 William Hudson is a founding member and director of LIBER: Ensemble for Early Music and was recently appointed Assistant Professor of voice and diction at Illinois Wesleyan University (Bloomington, Ill.). 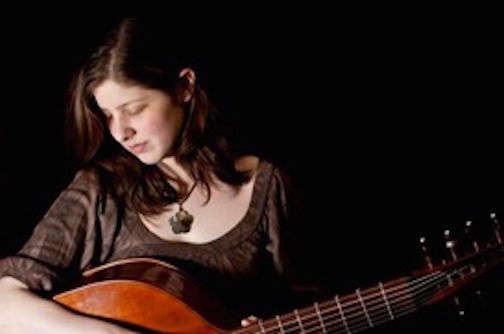 Katherine Shuldiner recently graduated from Oberlin Conservatory of Music, specializing in viola da gamba performance. She lives and works in Chicago, Illinois. Admission to the concert on November 22 is $15; admission is free for students with a valid ID. Ensemble SDG, a baroque violin and keyboard duo formed in 2009, performs music spanning the entire Baroque period, with a particular focus on the works of Johann Sebastian Bach. 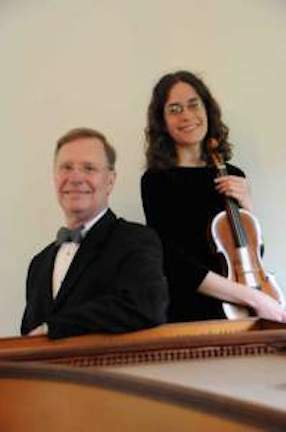 The duo has presented works by German, French and Italian composers of the 17th and 18th centuries in recitals from the Midwest to the East Coast. Venues include Fringe Concerts at the 2009, 2011, and 2013 Boston Early Music Festivals; a recital featuring the Brombaugh organ at First Presbyterian Church in Springfield, Illinois; the biennial meeting of the American Bach Society and the annual joint conclave of the Midwest and Southeastern Historical Keyboard Societies; the Michigan Festival of Sacred Music; Wisconsin Public Radio’s Sunday Afternoon Live from the Chazen; and multiple appearances at the University of Wisconsin–Madison, one being a performance of J.S. 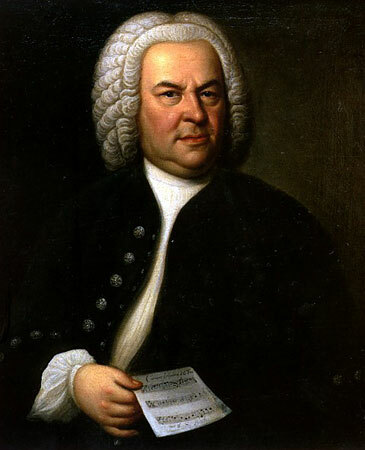 Bach’s six sonatas for violin and obbligato keyboard. This fall the duo will release a recording of Bach’s complete works for violin and keyboard. 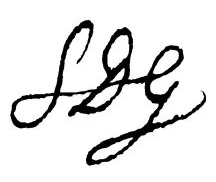 Ensemble SDG takes its name from the epigraph (below top) used by Johann Sebastian Bach (below bottom) to sign many of his works. Soli Deo Gloria (“to God alone the glory”) represents the members’ common approach to music and to life, and it is with this grounding that they approach their technique, choice of repertoire, and interpretative decisions. Highly sought after as a specialist in historical performance, tenor William Hudson has been described as “positively hypnotic” by Gramophone magazine. 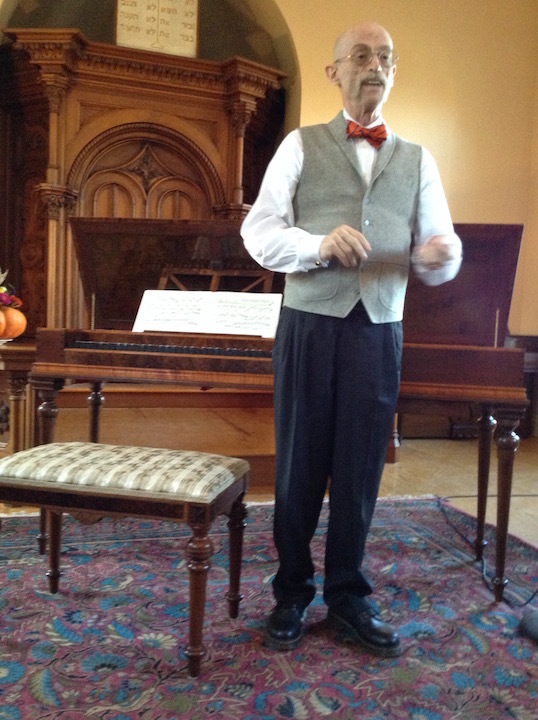 An accomplished ensemble singer, Mr. Hudson has performed with many of the nation’s leading early music ensembles including the Boston Early Music Festival Opera, The New York Collegium, The Waverly Consort, The Rose Ensemble, Boston Bach Ensemble, and Ensemble Project Ars Nova (PAN). As a founding member and director of LIBER: Ensemble for Early Music (formerly Liber unUsualis), he has performed extensively throughout North America and abroad at international music festivals in England, Wales, Ireland, Belgium, Germany, France, Latvia, Estonia, and Spain. Mr. Hudson also enjoys an active solo career, singing the Evangelist in Johann Sebastian Bach’s St. John Passion, Apollo in Claudio Monteverdi’s Orfeo, the title role in Giacomo Carissimi’s Jephte, Lucano in Monteverdi’s L’incoronazione di Poppea, Mercury in Eccles’ Judgment of Paris, and Alessandro Stradella’s oratorio San Giovanni Battista with the Jerusalem Baroque Orchestra. An active scholar and clinician, Mr. Hudson (below, in a photo by Tall & Small Photography) was the winner of the 2009 Noah Greenberg award and has presented at the International Congress of Medieval Studies in Kalamazoo. He has led master-classes and given lecture-demonstrations in medieval performance practice at universities throughout North America. 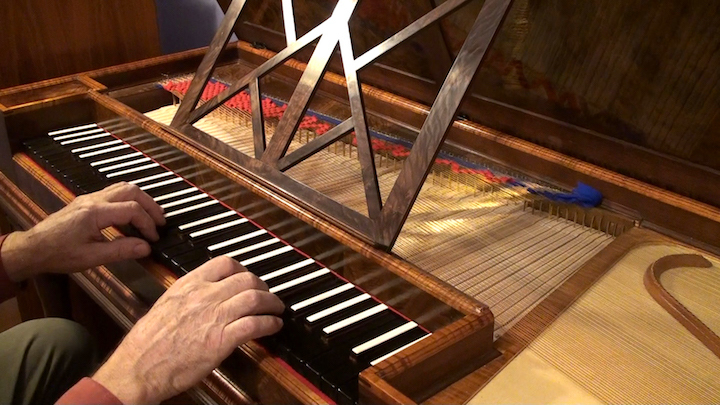 He has recorded with Naxos, Passacaille, Arsis, Titanic and Dorian. 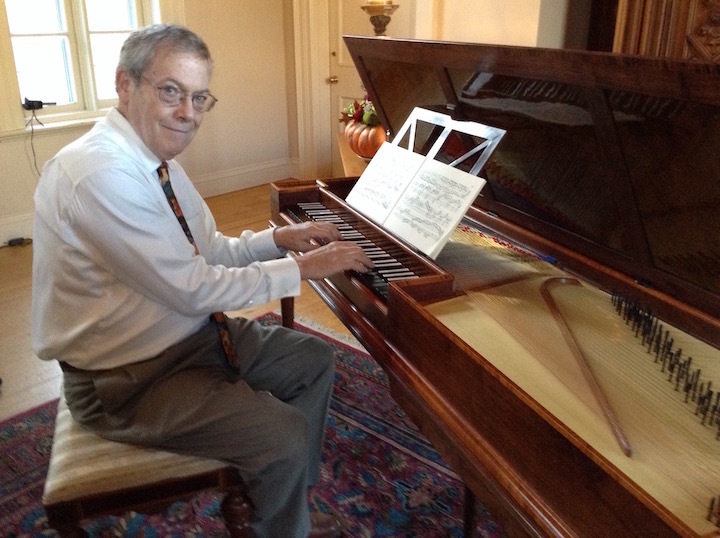 Mr. Hudson holds a Master’s degree in Historical Performance from the Longy School of Music and a Doctor of Music in Early Music from Indiana University. He is a Visiting Assistant Professor of voice and diction at Illinois Wesleyan University in Bloomington, Illinois. Katherine Shuldiner graduated from Oberlin Conservatory in viola da gamba performance under the tutelage of Catharina Meints. She has performed with Chicago based ensembles such as The Newberry Consort, BBE: Bach and Beethoven Ensemble, and The OC (The Opera Company). She has also performed with Washington Bach Consort and La Follia Austin Baroque. Katherine recently finished her two-year term on the board of the Viola da Gamba Society of America and was chosen to perform in the first Early Music America’s Young Performers Festival during Boston Early Music Festival. 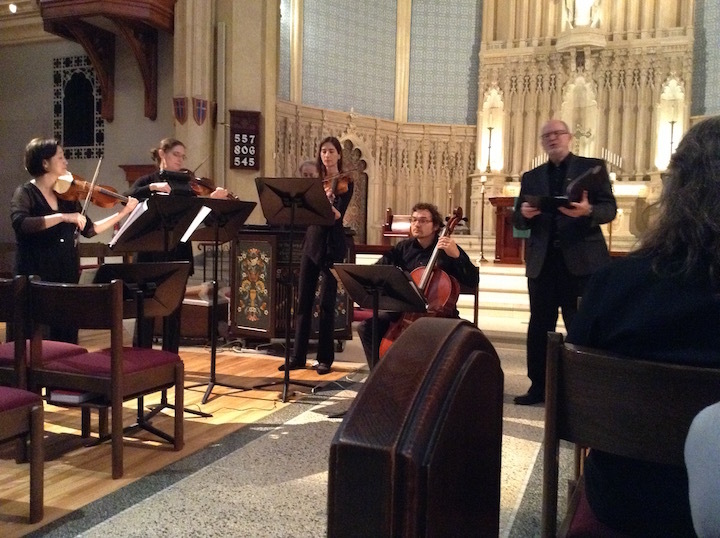 This past summer, Katherine taught at the Madison Early Music Festival as well as the VdGSA Conclave.